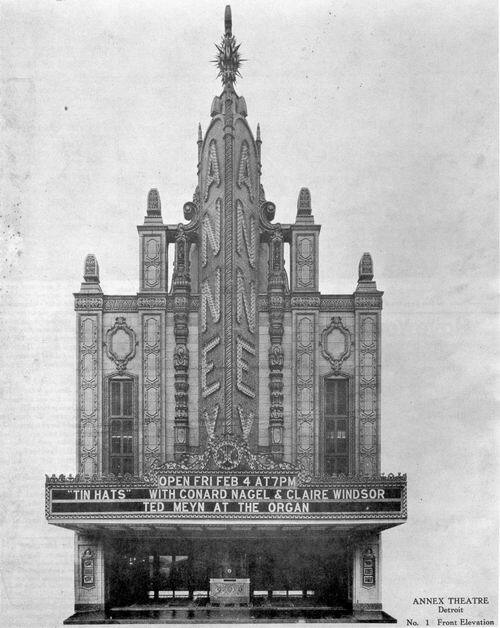 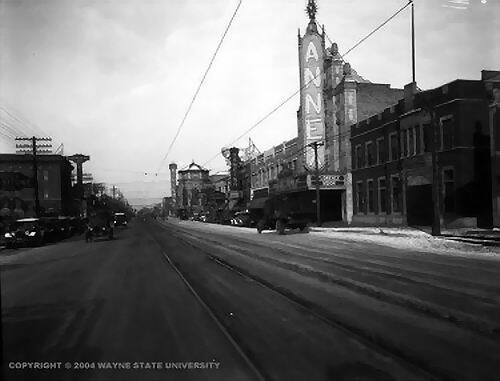 The Annex, or Riviera Annex, as it was called when it first opened in 1927, was designed by John Eberson to accomodate overflow crowds at his Grand Riviera (later called just the Riviera) up Grand River Avenue. 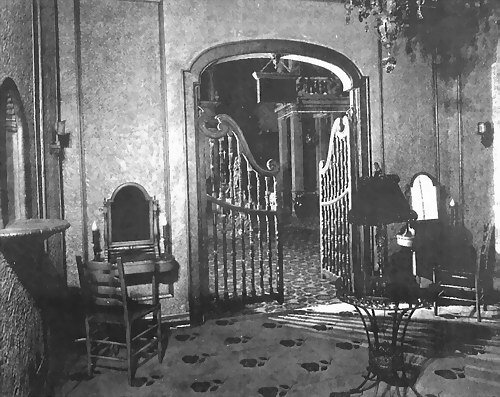 It could seat 1824, and was designed in an atmospheric style, matching the original Riviera's. 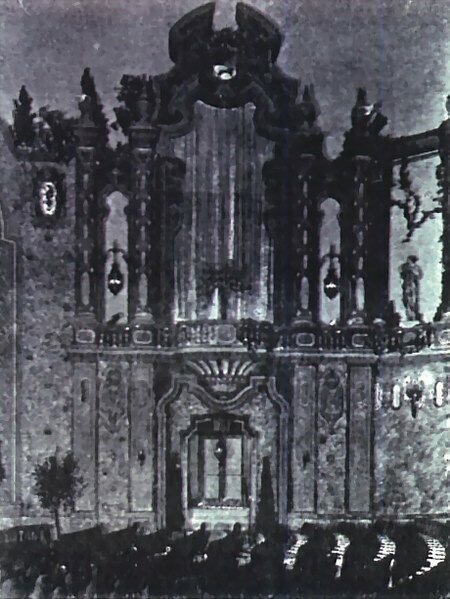 It also contained an organ and a small stage, which most likely was never used. 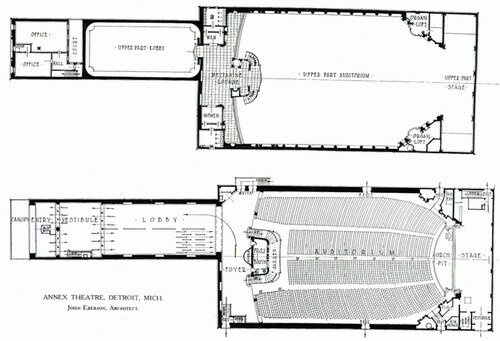 In an unusual layout, this one-floor theater contained something called a mezzanine lounge. 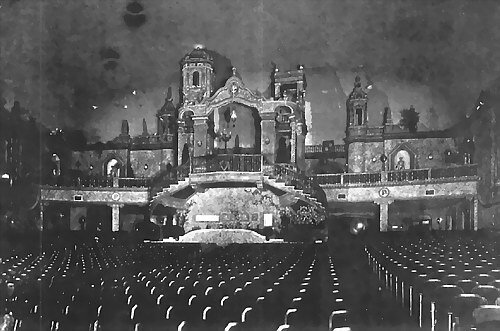 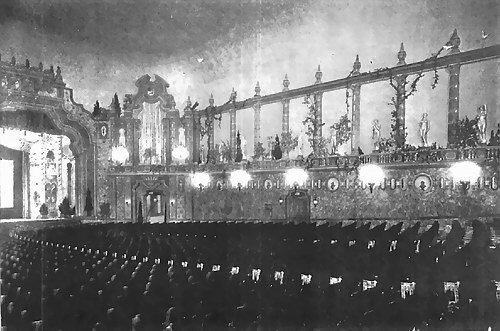 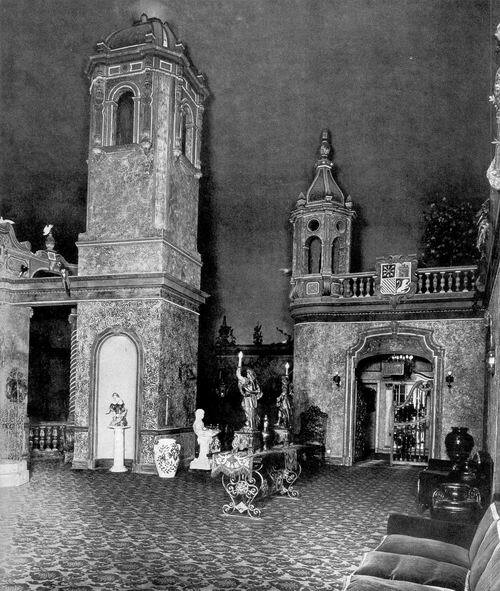 Some believe that the original design for the Annex called for a full balcony, but it was never added. 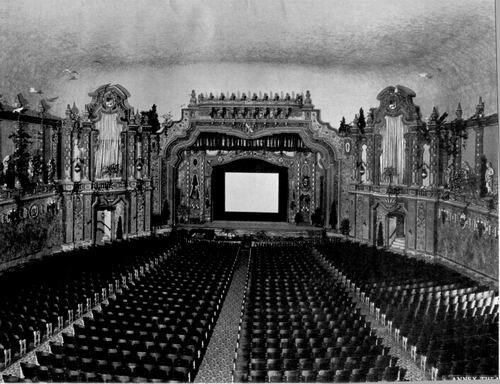 In another quirky move, Eberson had the projection booth placed under the main stairway leading up to the mezzanine level. 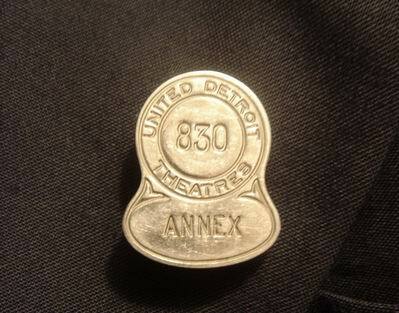 The Annex closed its doors in 1949 due to declining attendance, and was demolished around 1960. 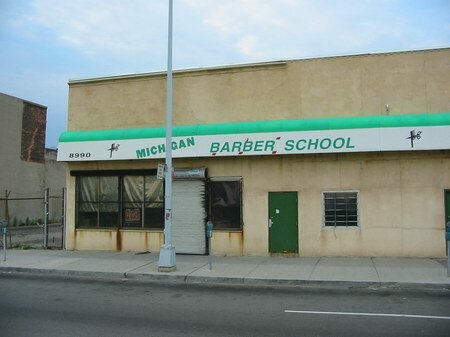 The site is today occupied by a school of cosmetology. 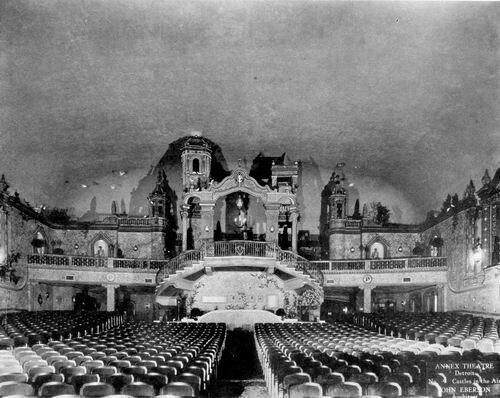 Cinema Treasures Link.